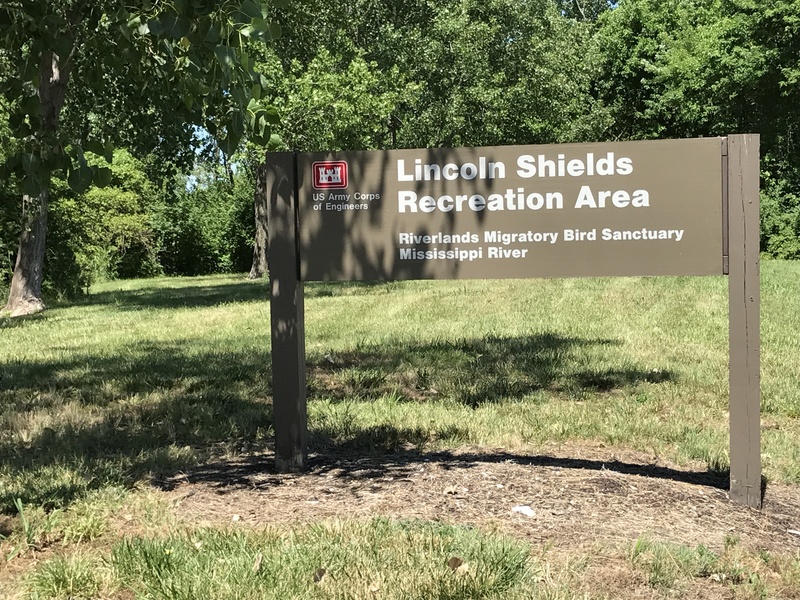 Approximately twenty-five miles from St. Louis, Missouri—smack-dab in the Mississippi River— is a lovely fishing/picnic/nature-rich park called The Lincoln-Shields Recreation Area. Unfortunately, there is no marker on the property to explain the park’s name or its historic significance. For that, you have to cross the river to the Alton, IL shore and find the two information markers. 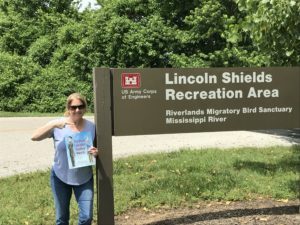 During my research for ABRAHAM LINCOLN’S DUELING WORDS, I visited the “island”, camera in hand, and found only a few park goers casting their lucky lures into the Mississippi. To each of them, I asked the same question: Do you know where the park’s name originated? 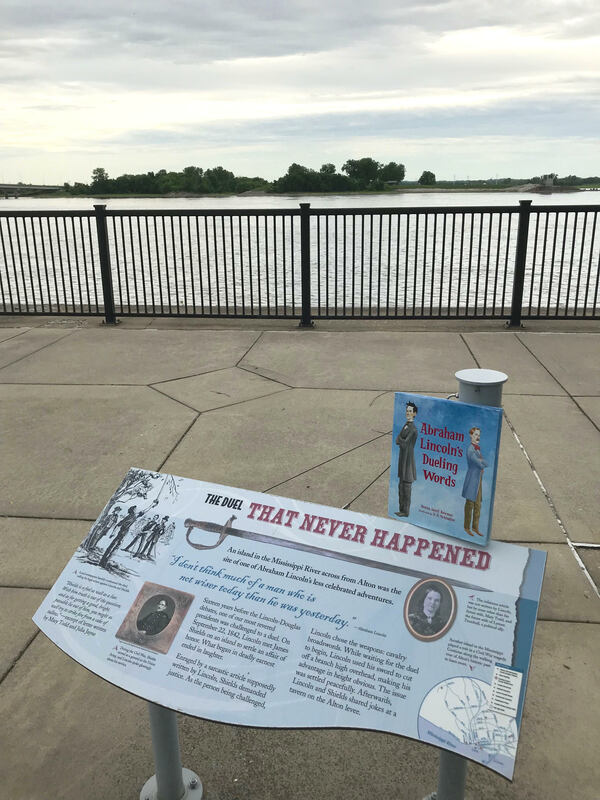 Not one person knew the answer—that Abraham Lincoln faced a duel on those shores, long before he knew that he was risking the future of this great country. 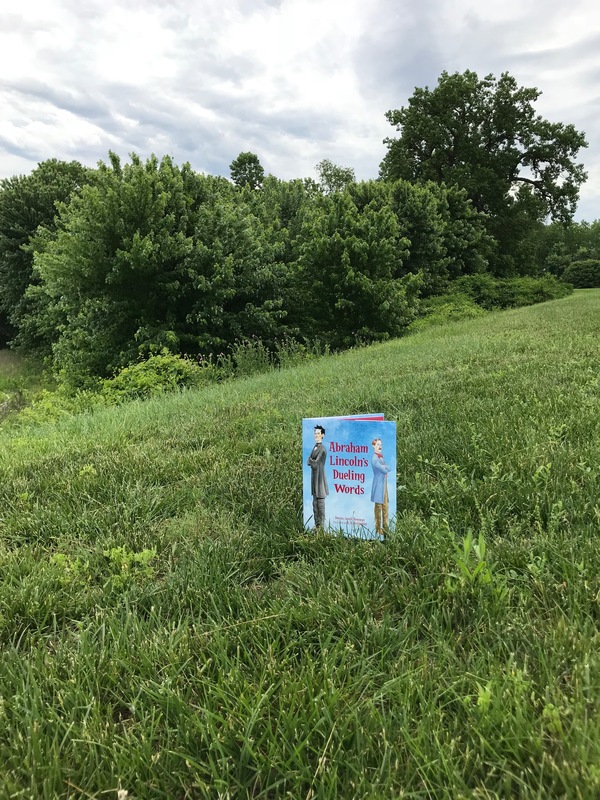 Both human intervention and the brushes of time and nature have changed the area a great deal during the 176 years since the duel. 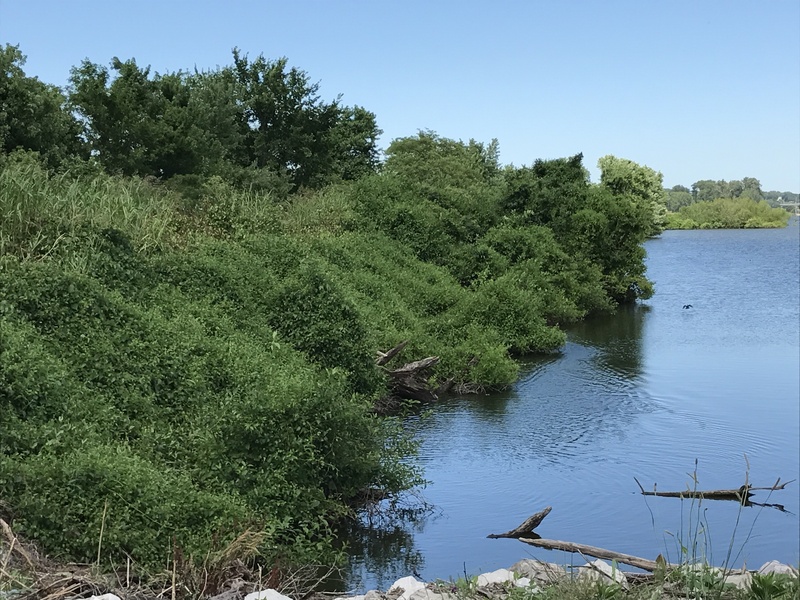 For one, channels and roadways have been added to the Missouri side, so the island is practically a peninsula today. 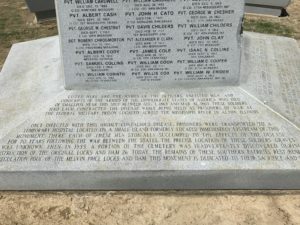 It is impossible to know for certain where the original “field of honor” was, but it’s easy to imagine. I walked the trails, made note of foliage, and generally got a feel for the place. 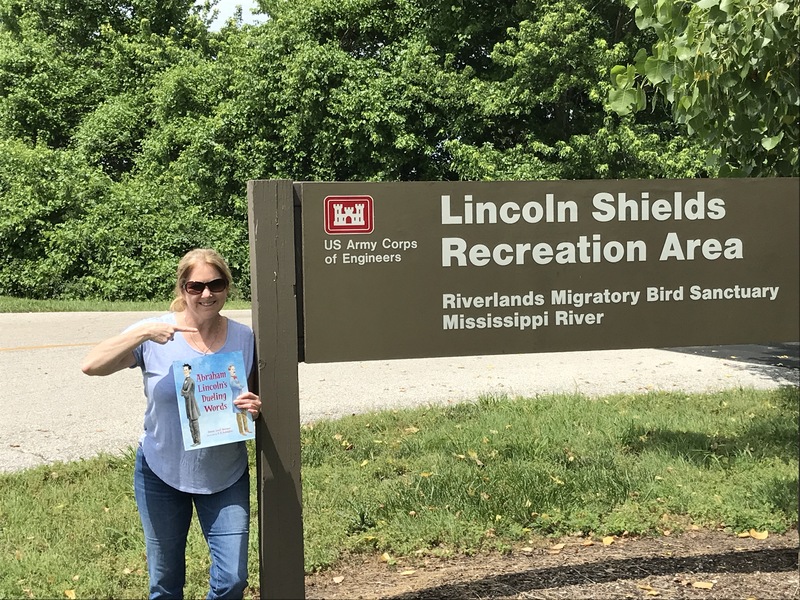 I imagined being on the ferry boat—operated by horse-powered windlass— with Lincoln and Shields as they made their way from Alton, IL to the island and an unknown fate. From the Alton, IL side, looking at what was Bloody Island. This marker incorrectly states that Lincoln did not write “the” letter. 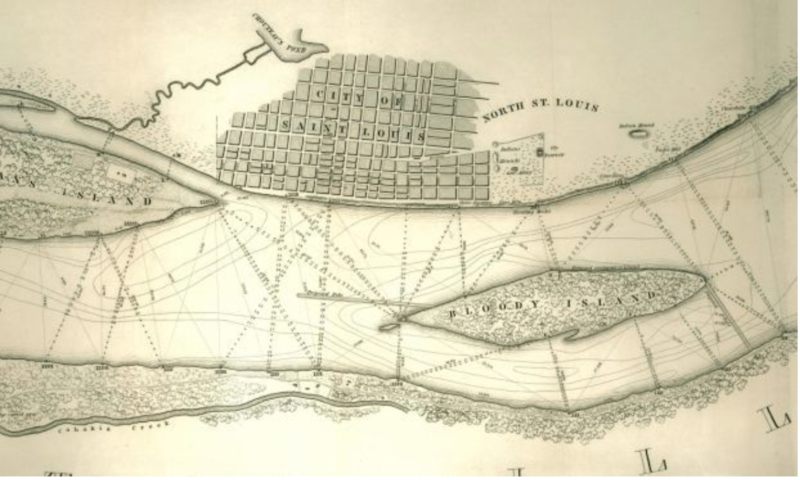 At the time of the duel, Bloody Island was a one-mile-long sandbar in the middle of the Mississippi River between Illinois and Missouri. Considered outside the jurisdiction of both states, it became a popular location for duels—hence the menacing name. Over the generations, the island has been referred to by many names, including Sunflower Island and McPike’s Island. 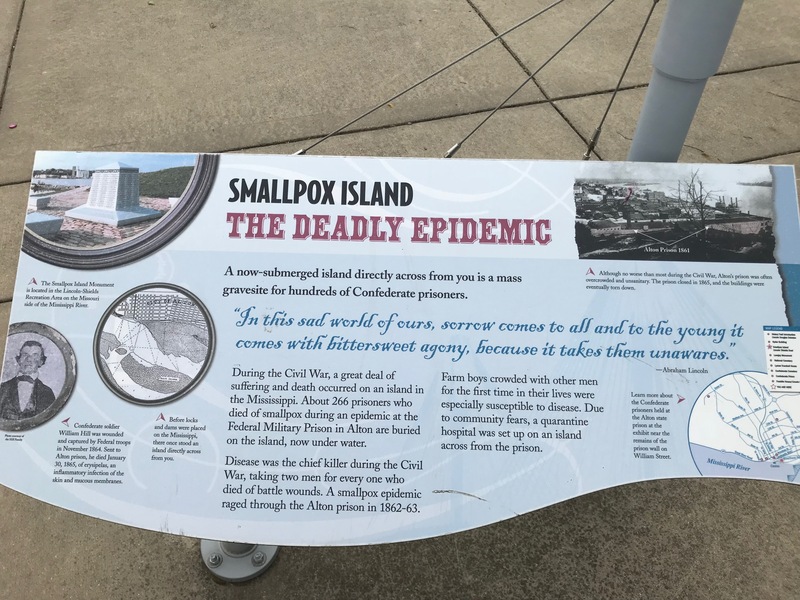 During the Civil War, it was renamed Smallpox Island because Confederate soldiers with smallpox were quarantined and later buried on the island. 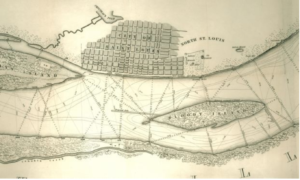 Bonus trivia: Five years before the 1842 Lincoln-Shields duel, the U.S. Army sent an officer engineer to help solve the problem of shifting soils that expanded the island and narrowed the shipping channel. The man’s name was Robert E. Lee—who later led the Confederate forces during the Civil War. That may be a tribute area to Lincoln and Shields, but it’s nowhere near Bloody Island. What once was Bloody Island is now part of East St. Louis lying between the downtown area and the river where the major train hub used to be. It begins around Popular Street Bridge and continues north about a mile. There’s nothing there now but mostly abandoned buildings and train tracks that have long been out of use. 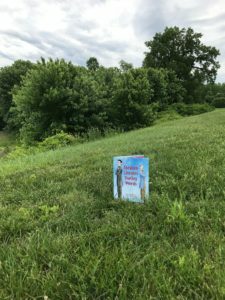 Thank you for commenting on my blog post about Bloody Island. I am intrigued by the information you shared. Would you mind sharing the source for your information? Do you have expertise on the subject? While the island itself was not the focus of my own research, I was flummoxed by the lack of consistent information. The markers on the Alton side of the river seemed to further confirm the Lincoln-Shields site (note the signage) as formerly-named Bloody Island. If your information is more credible, I will certainly change my blog post on the topic. Sorry but I read that the south end of the island was under the Popular Street bridge. You say it`s across from Alton. 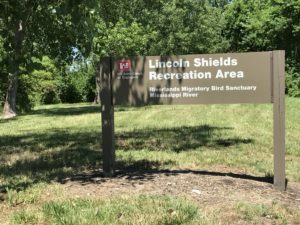 The information I found indicated that the land now used as The Lincoln-Shields Recreation Area is the former location of Bloody Island. Another commenter has cast some doubt about the location. Unfortunately, I don’t have time to reopen the research at this time. 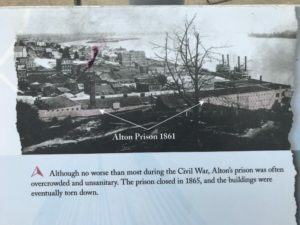 If Mr. Seper is correct, it means that Alton, IL has misplaced their historical signage.